If you've never had the pleasure of being on a catamaran, it's a singularly luxurious and graceful experience; catamarans are lighter, faster and more stable than their monohulled cousins, and they look so refined too - monohulls are so very 16th century. Except the catamaran is much older than that of course - they've been developed independently by several cultures, including Dravidian people from around southern India, Polynesians and various groups throughout Oceania, and possibly even the Ancient Greeks. To modern Europe, the catamaran is a relatively recent innovation, and was met with some skepticism when it first started to appear. Despite its definite advantages, sailing a catamaran is apparently a little trickier to master than a monohulled sailboat, which is perhaps why it came to be used as a word for a 'quarrelsome woman' (boats are one of the few things in English that are arbitrarily assigned a gender, often being referred to in the feminine). Their design and use has developed considerably from simple one-man fishing boats - there are now catamaran ferries, research ships, luxury and pleasure boats, and even prototype military vessels. 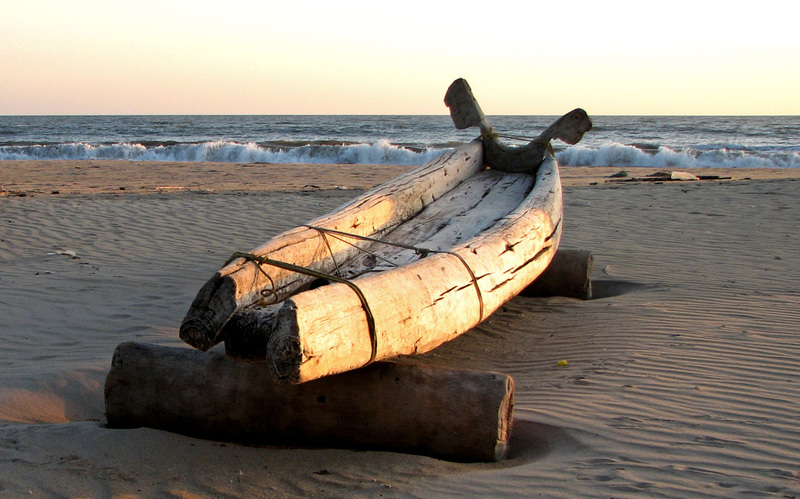 What's wonderful, however, is the ultimate simplicity of the catamaran design, reflected beautifully in its Tamil name kaṭṭu-maram - tied wood. Do you own a catamaran? 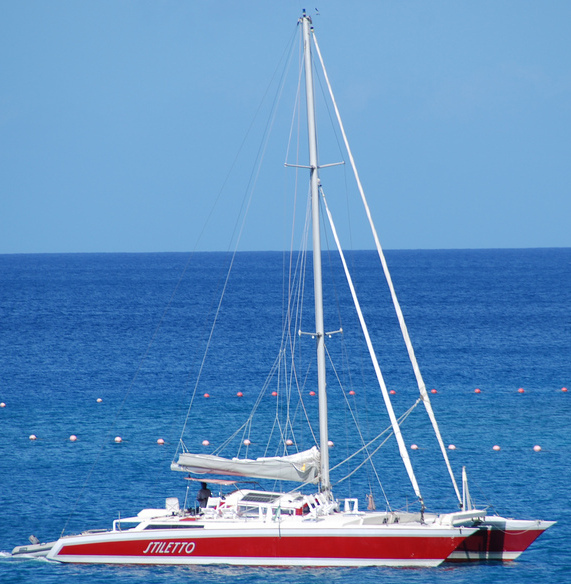 Have you ever been on a catamaran? Do please float your boat by commenting in the box below. Whoa, whoa, whoa - back up a bit - a quarrelsome woman? Really? That could be useful.... : "Darling might I say you're being a bit of a twin-hulled vessel this morning." After you, C - the OED hasn't marked calling a women a catamaran derogatory (as it often does), so ... what's that American expression? ... "knock yourself out". Your advice is, as usual Edward, wonderfully eloquent yet frivolously dangerous. I love the sea. I have this (childish) dream of sailing away to where the wind takes me and we even have some Catamaran tours in Tejo - it's the River that baths my town: Lisboa - that I wouldn't mind doing... maybe if Summer ever comes. That good advice, Teresa. Personally, I try and avoid any comparative language between women and hulls, whether they be of the mono- or multi-hulled variety. Gosh this is a minefield.